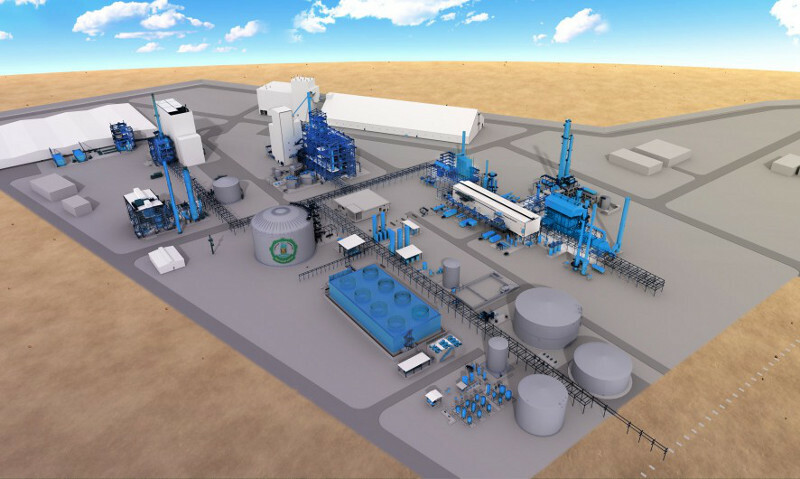 A computer generated image of NCIC thyssenkrupp’s new fertiliser complex. Credit: thyssenkrupp AG. thyssenkrupp plant engineering business has been awarded an engineering, procurement and construction (EPC) contract for a new fertiliser complex in Cairo, Egypt. Awarded by Egyptian-based El Nasr Company for Intermediate Chemicals (NCIC), the contract is valued in the mid three-digit million euro range. The company will implement the project in a consortium with Egypt-based firm Petrojet. The new fertiliser plant will be constructed in Ain El Sokhna, a town located 100km south-east of Cairo and near the existing NCIC phosphatic and compound fertiliser complex. thyssenkrupp Industrial Solutions CEO Marcel Fasswald said: “We have a particularly successful partnership with Egypt stretching back more than 160 years, which offers great potential for the future. The complex is expected to enter service in 2022. Once operational, it will manufacture up to 440,000t of ammonia, 380,000t of urea and 300,000t of calcium ammonium nitrate on an annual basis. Construction of the new fertiliser complex furthers NCIC’s plan to add high-quality nitrogen fertiliser for both local and export markets to its current portfolio.